Most jobs involve carrying out some type of manual task whether it is stacking shelves, entering data into a computer or working on a conveyor line. If these manual tasks are poorly designed or carried out incorrectly, they can become hazardous. Such hazardous manual tasks can cause significant and even irreversible injuries or disorders. If the risks associated with hazardous manual tasks are not eliminated or minimised they can cause significant and even irreversible injuries or disorders. In Australia, the most common work-related condition are Musculoskeletal disorders (MSDs) despite the fact there are known methods to eliminate or minimise them. These factors stress the body and can lead to a wide range of MSDs. 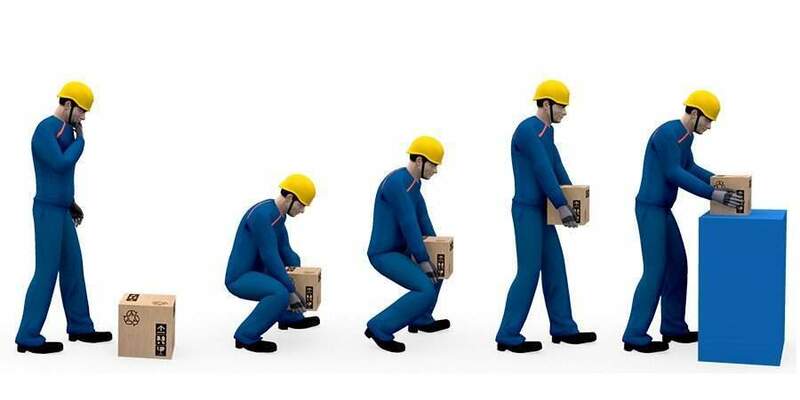 A risk assessment should be carried out for any manual handling tasks that have the potential of being hazardous or have been identified as being hazardous. Why they are happening and what actions need to be taken to correct it. Failure to appropriately manage hazardous manual tasks may result in a breach of WHS laws. The best and most cost-effective way to eliminate or minimise the risk of an MSD is to consider manual task hazards and risks during the design and planning stage of a workplace. During this stage, hazards and risks can be ‘designed out’ before they are even introduced into a workplace. Designers, manufacturers, importers and suppliers of plant and structures have duties under WHS act to ensure that products do not pose risks to health and safety when they are used for the purpose they have been designed or manufactured for. This also involves ensuring that they will not lead to MSD risks. MSD refer to an injury or disease of the musculoskeletal system. The musculoskeletal system supports and protects the body and is made up of the bones of the skeleton, muscles, cartilage, tendons, ligaments, joints and other connective tissues that supports and binds tissues and organs together. Over time through gradual wear and tear caused by repeated or continuous use of the same body parts and static body positions. Abruptly through strenuous activity or unexpected movements such as when loads being handled, move or change position suddenly. At Anitech Consulting, our consultants can carry out a risk assessment to help you identify any manual handling hazards in the workplace and suggest solutions. Talk to our consultants on 1300 802 163 to find out how we can assist you with this important assessment. ← How to Select an ISO Management System Consulting Firm or a Consultant?